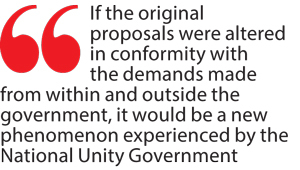 If the original proposals were altered in conformity with the demands made from within and outside the government, it would be a new phenomenon experienced by the National Unity Government. 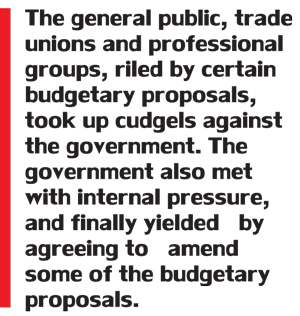 No other government had been forced to make changes in budgetary proposals in recent years. The hike to have a vehicle emission test done, the cancellation of duty- free vehicle permits to MPs and professionals and tax increases on motor vehicles are among those that irked different segments of society. Legislators of all hues felt the pinch and decided to prevail upon those concerned to reverse some of them in whatever way possible. The United National Party (UNP), the main party of the national unity government, conducted a workshop for its MPs during the past weekend in Bentota perhaps to ease the upsurge of pressure against the budget. Party Leader Prime Minister Ranil Wickremesinghe addressed the MPs and spent time listening to their suggestions and grievances. At the same venue, the UNP General Secretary State Enterprise Development Minister Kabir Hashim bemoaned the lack of political progress by some electoral organisers while the Megapolis and Western Region Development Minister Patali Champika Ranawaka delivered his address in which he stressed the need for the adoption of what he called an ‘innovation driven economic model’. After that, the MPs, both with and without ministerial positions, were divided into five groups- each being headed by Telecommunication and Digital Technology Minister Harin Fernando, Deputy Foreign Affairs Minister Dr. Harsha de Silva, Deputy State Enterprise Development Minister Eran Wickramaratne, Education Minister Akila Viraj Kariyawasam and Deputy Power and Renewable Energy Minister Ajith Perera. Each group was told to have discussions among its members on current issues and to come up with their suggestions for rectification and improvements if necessary. The five group leaders made their presentations separately after holding discussions. The MPs expressed their views on the Budget after Finance Minister Ravi Karunanayake’s speech. Most of them looked unhappy over the proposal to terminate the duty-free vehicle permits to parliamentarians and professionals. 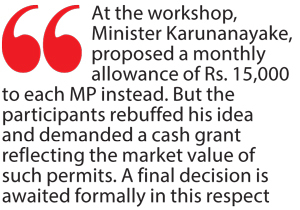 But, Minister Karunanayake tried to justify his decision in this regard by pointing out that such concessions had denied a huge quantum of tax revenue to the state. Years ago, only parliamentarians were entitled to this concession. Yet, the previous government extended it to different categories in public service. But in the 2016 Budget, it has been decided to do away with it. 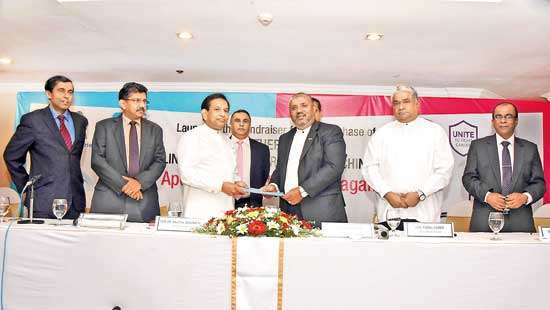 At the workshop, Minister Karunanayake, proposed a monthly allowance of Rs. 15,000 to each MP instead. But the participants rebuffed his idea and demanded a cash grant reflecting the market value of such permits. A final decision is awaited formally in this respect. Also, in the Budget, the government has decided to restrict the fertiliser subsidy only to those cultivating less than a hectare of paddy. For those cultivating more, it was decided to give a cash grant of Rs.25, 000. Housing Construction Minister Sajith Premadasa asked the finance minister to amend it and to issue fertiliser at the subsidised price to all the farmers irrespective of the land extent they cultivated as done for years. In fact, it was put up as a proposal by the group headed by Minister Fernando in his presentation. 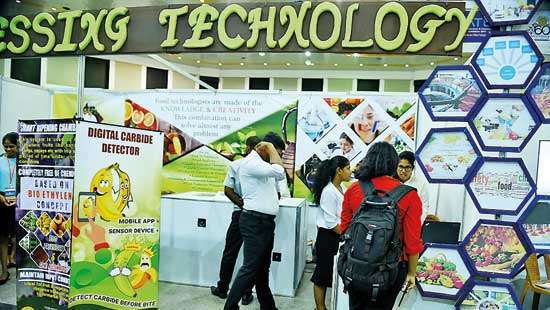 Prime Minister Wickremesinghe, however, defended the original proposal and explained to the audience the importance of giving cash vouchers, enabling cultivators to decide freely on the amount and kind of fertiliser to be purchased in the market. Also, he said it would encourage them to opt for organic fertiliser instead of chemical fertiliser. This, he said, would be helpful in containing the spread of chronic renal diseases widely perceived to be caused by the excessive use of agro-chemicals in paddy cultivation. Minister Fernando’s group sounded convinced with this explanation, and the matter was put to rest. The workshop turned out to be a place for MPs to give vent to their frustrations. 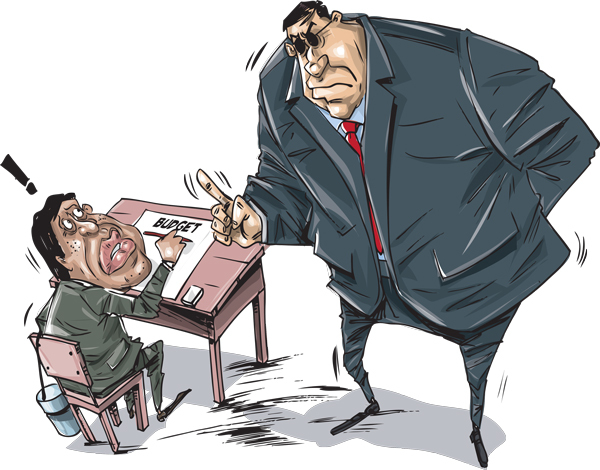 The UNP-led government had been in power for nearly a year, yet, most were of the view that they have been unable to extend adequate help to their supporters either in the form of employment or through development. Also, they were perturbed that ordinary UNPers, politically victimised during the previous rule, have not been compensated. They said they find it difficult to face their supporters at grassroots level. Some young MPs lamented that the government failed to take action against wrongdoers of the previous government. Deputy Minister of Disaster Management Dunesh Harsha Gankanda was critical of Education Minister Akila Viraj Kariyawasam for recruiting school minor staffers only from his Kuliyapitiya electorate. Gankanda said persons from Kuliyapitiya had been attached to the minor staff of the Gankanda National School in Pelmadulla, Ratnapura. “This is unbecoming. Chances should be made available to all our supporters,” he said at the workshop. On Saturday, the MPs congregated at a resort in Bentota to attend the workshop. The entire Saturday evening was meant for fun-filled activities and the participants amused themselves by singing and dancing their cares away. Kurunegala district MP Nalin Bandara Jayamaha was the announcer at the gala event while Deputy Minister Ranjan Ramanayake led the fun events. Minister Harin Fernando sang two songs, and on one occasion, the floor was opened specially for Tourism Minister John Amaratunga to stage dancing acts. John Amaratunga, as an MP in his late 70s, was in the news recently. During a parliamentary debate, Joint Opposition MP Dulles Alahapperuma said that Amaratunga was notorious for taking a certain tablet to stimulate youthful spirit. That remark came only after Amaratunga asked the Joint Opposition MPs to vote for the budget or lose their parliamentary seats. Lady MPs of the UNP, including Hirunika Premachandra, Chandrani Bandara and Thalata Atukorale, sang group songs. Minister Sajith Premadasa was a notable absentee during fun time. The 2016 budget is considered a blueprint for long-term economic reforms to fall in line with neo-liberal policies. Consequently it has earned condemnation from left leaning critiques. The Communist Party of Sri Lanka brought it to the notice of a confab of leftist parties held in New Delhi, India recently. Former Minister D.E. W. Gunasekara said it was organised in view of the 90th Anniversary of the Communist Movement. Gunasekara said, “We discussed how communist movements across the Asian region should stand up to challenges posed by neo-liberalism. Our theme was ‘Alternatives to Capitalism’. Today, West Asia is afflicted with conflicts after American intervention. As for South Asia, ethnic and religious fundamentalism has hit nations. East Asia and South-East Asia are the fastest growing regions in Asia. Also, the entire south Asian region has been ridden with crises. After the change of government in India, the cost of living had nearly doubled.” he said. 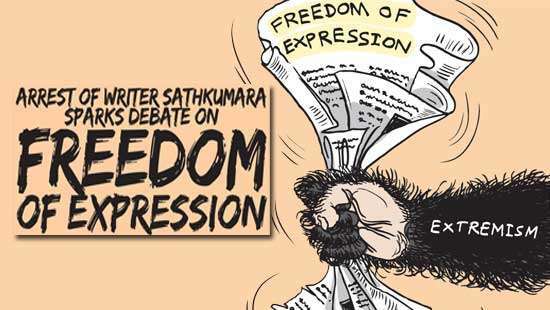 The Joint Opposition, consisting of a section of the Sri Lanka Freedom Party (SLFP), at a meeting that went on till late evening on Tuesday, decided to vote against the budget. The group held the view that the budget has been formulated against the core values and policies of the SLFP and its allies. The Joint Opposition heeding the request made by various trade unions and professional bodies, sought solidarity to reverse certain budgetary provisions such as the proposal to terminate vehicle permits, and cancel a pension scheme for those entering the public service from the next year etc. SLFP MPs, in the Opposition, even defied the request made by President Maitripala Sirisena to vote for the budget or to abstain from voting. They categorically informed at yesterday’s meeting that they would say ‘no’ to it. In any event, President Sirisena had said he would not influence them in any way. These Opposition representatives are planning to meet with Chinese Ambassador Li Xianglin tomorrow. After that, they have plans to engage with diplomatic heads of Arab countries. Law enforcement authorities had banned Marveer Day celebrations in the North as usual. Previously, the LTTE used to commemorate its war dead on November 26 with a speech made by its leader Velupillay Prabhakaran. 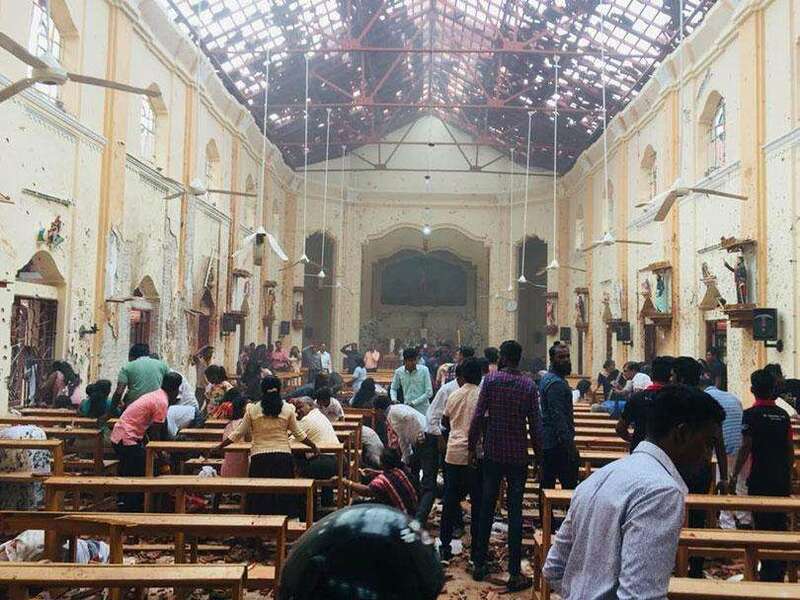 After the terrorist outfit was annihilated, LTTE sympathisers tried to commemorate the event by lighting lamps at their places of religious worship, and other public places, but they were legally barred from doing so. Similar attempts were also made despite the legal restrictions. However, Tamil National Alliance (TNA) member M.K. Sivajilingam defied the law by lighting a lamp in public at the Nallur Kovil in Jaffna in commemoration of whom he called the ‘Tamil liberation fighters’. Yet, few were associated with the event. Meanwhile, Ilankai Tamil Arasu Katchi (ITAK), the dominant ally of the TNA, also had a small function in its Jaffna head office in view of this event. “We just lit a lamp in remembrance of the dead,” party stalwart C.V.K. Sivagnanam said. Posters had been put up within the premises of Jaffna University calling for observance of the day. Speculation is rife in political circles that a certain minister of the Yahapalana government has placed three beauties to key posts in his ministry. It is reported that these three ladies have been given better salaries coupled with other perks. Everyone is wondering who this minister is. When Prime Minister Ranil Wickremesinghe tried to enter the Parliament chamber through a door in the Opposition side, apparently to convey a message to one of his MPs occupying a bench on that side, Opposition MP Mahindananda Aluthgamage cracked a joke through his own interpretation of the intrusion. He joked that the prime minister wanted to thank him for slandering the government. In fact, he said the PM came to the Opposition side after being convinced of his criticism of the Budget.